Using criminals to help fight against a greater evil is not a new concept. The Dirty Dozen and Inglorious Basterds come to mind though I’m sure plenty of others exist. Suicide Squad, then, is in good company. Anti-hero stories can be tricky to tell because you have to balance their dark character while also creating empathy. Make your anti-hero too evil and you’ll lose the audience, but make them too relatable and you might wonder why they were ever a bad guy in the first place. If done correctly, the storyteller can blur the lines between the good, the bad, and the ugly, and flip the script, making you question who the true hero and villain are in the story. Fortunately, director David Ayer pulled this off in spades while simultaneously creating an action-packed and fast-paced adventure with plenty of humor and fun to go around. Written and directed by David Ayer (Fury, End of Watch), Suicide Squad is set in the aftermath of Batman v Superman: Dawn of Justice. Secret government agent Amanda Waller (Viola Davis) decides that the United States needs a contingency plan if another super-being like Superman decides to attack. She puts together a team of superhuman criminals called Task Force X including notorious villains like Deadshot (Will Smith), Harley Quinn (Margot Robbie), Captain Boomerang (Jai Courtney), and others to fight dangerous black ops missions in exchange for clemency. Unlike his hyperrealistic, historical drama Fury and police drama End of Watch, Ayer brings a new and welcome flare to Suicide Squad. He keeps the same realism, but throws in color, giving it a distinct voice and character all of its own. It’s important to note this in contrast to Zack Snyder’s somber Batman v Superman. This movie is fun and doesn’t take itself too seriously. It also speaks to Ayer’s talent and ability to adjust to genre, stretching his legs in other storytelling territory. He shines with the action sequences, making a tense and thrilling experience while also bringing out the character chemistry, the humor, and downbeats. 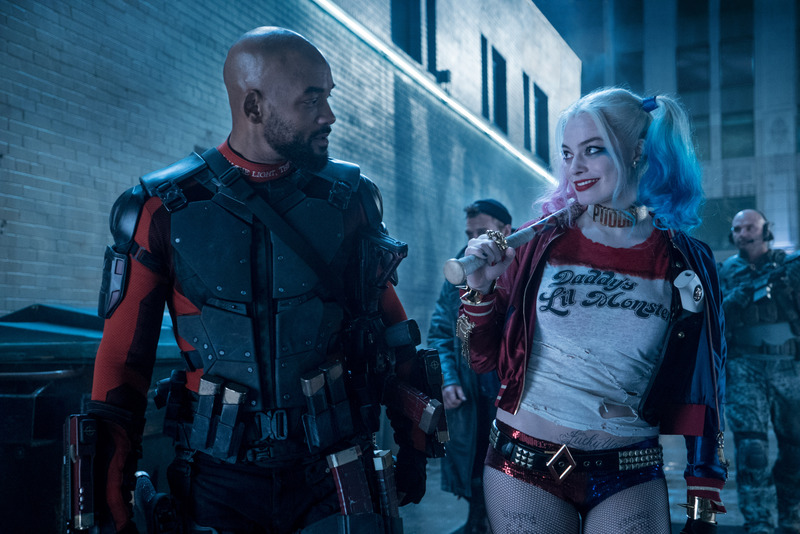 At the same time, Suicide Squad’s story suffers from a few pacing issues and scatterbrained editing. For instance, the three different openings in the beginning of the movie felt like the editor couldn’t make up his mind. Waller’s introduction of the characters is lazy storytelling and, if anything, a poor man’s copy of Tarantino’s Inglorious Basterds character introduction. At times, the character downtime felt forced, as if Ayer needed them to have a little chat to build more moments, and it killed the urgency. Despite all of that, I appreciate Ayer’s attempt to weave moral ambiguity and irony into the story without too much spoon-feeding. He shows why characters like Deadshot are bad guys while also progressively showing how the good guys are just as dirty. Out of all the things Ayer excels at in this movie, this theme is what he does best. He draws a moral line and then gradually changes it, but more intriguingly he provides the audience a red-herring villain while hiding the real one in plain sight. The characters in Suicide Squad are great, lively, funny, and well acted by veterans like Will Smith and newcomers like Margot Robbie. Though I thought he might be more of a liability, Smith proves he still can be a strong leading man with good emotional resonance. Deadshot’s character arc flows nicely and Smith pulls off the progression well. Originally, I thought Jared Leto’s Joker might steal the show, but Margot Robbie’s Harley Quinn pulls the rug right out from under him. Clearly, Robbie embraces every aspect of the character and tries to give the fans what they want while also giving her own spin to it. Viola Davis is an outstanding actress and her performance as Amanda Waller is dead on. While I hate to say it, Leto’s Joker disappoints in both the writing of the character and the execution. In trying to write the Joker so different from Ledger’s in The Dark Knight, Ayer takes a noble swing but a big miss. The Joker in Suicide Squad is a psychotic thug heavily under utilized in the story and not at all the genius mastermind his character is known to be. While I praise Ayer’s attempt to distinguish this Joker, and Leto’s attempt to bring it to life, they over-reach and it brings the character down a rung. Understandably, it just can’t live up to Ledger’s. 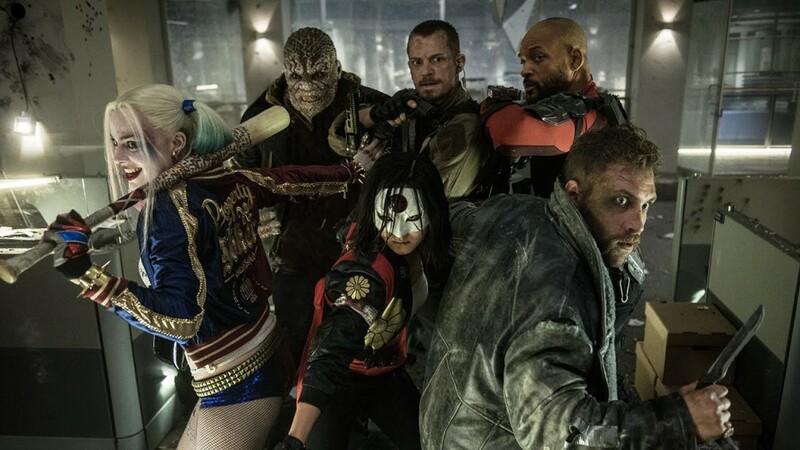 After Batman v Superman, the DC Extended Universe needed a shot in the arm to bring the franchise back to life, and I think Suicide Squad provides just that. While it stumbles a little with pacing, editing, and basic storytelling, the solid direction, themes, action, visuals, outstanding performances, and the more emotional elements and character moments make Suicide Squad a must watch summer movie. Photos courtesy of: Warner Bros.